so said ellie: Fair Ground Fantasies. 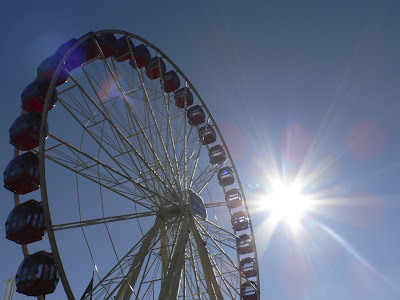 I love taking pictures of ferris wheels. I think they're supremely photogenic and stuff. But would you believe I've never ever been on one ever in my life?! It's true. I've never been to the Armidale Show either, so that could explain a few things. 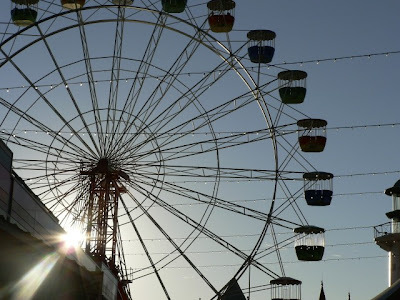 Not entirely though, because I know I've been to the Easter Show, and I'm quite sure they have ferris wheels there, so somehow I've made it a long way without ever going up into the air for half an hour on a big wheel. A large cantilevered wheel, in case you were wondering. I've always wanted to make out with a boy at the very top. Isn't that just the bees knees. 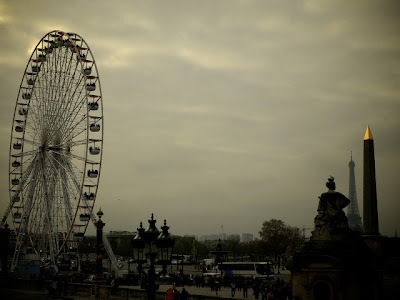 And come Paris and London (because I will go on two ferris wheels to make up for their absence in my life thus far) I will get my way, come hell or high water. Is that the right saying? I don't know. All I do know is that the boy doesn't stand a chance.